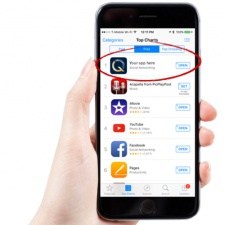 Mobile ad technology start-up WeQ has launched a new app ranking tool called Boost designed to help developers get their apps up the charts. The idea is to power burst campaigns to attract a large number of downloads in a short space of time. Any subsequent jump in the top charts could then improve discoverability and potentially add more users who find the app through the app store. Boost supports this by offering a tool for campaign management and optimisation. WeQ’s lofty ambition is to ultimately challenge the duopoly that tech giants Facebook and Google have over the mobile market when it comes to user acquisition. It claims to offer an “exclusive” network of global publisher relationships, as well as harnessing machine learning. “WeQ Boost is designed to empower advertisers to cut through the noise in the ever-changing ecosystem of the app stores,” said WeQ VP of new media solutions Stanislava Todorova. WeQ CEO Markus Malti recently wrote an exclusive article for PocketGamer.biz on how mobile developers can tap into the South Korean mobile games market.